That's right! HG Motorsports has a brand new website. 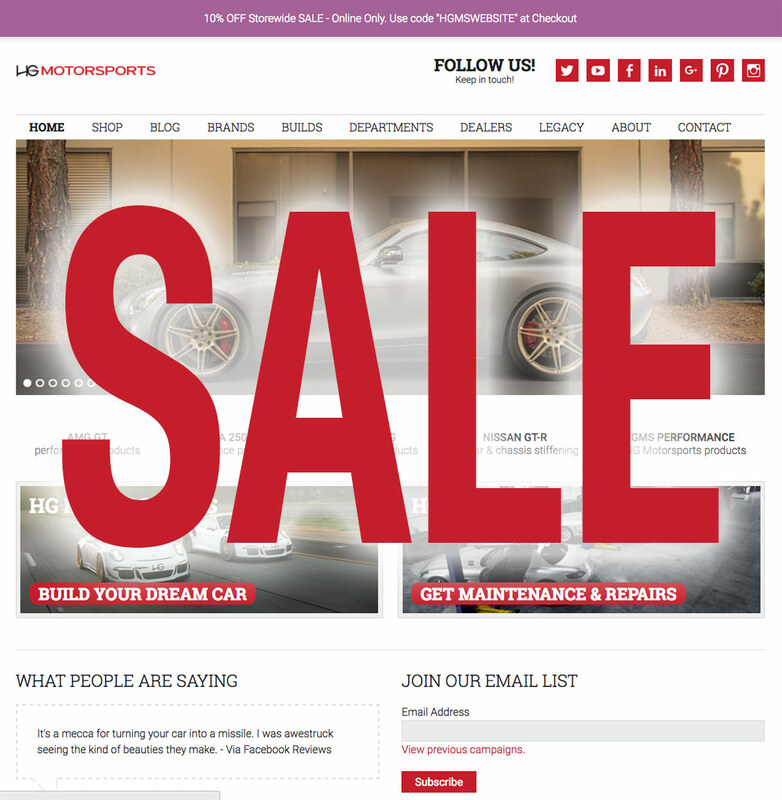 To celebrate we're running a sale on HG Motorsports product purchased through the website. Use code HGMSWEBSITE during checkout. Take Me to the NEW HG Motorsports Website!